Hair mites, also known as demodex mites, are not particularly dangerous in humans. The mites live in our hair follicles and are microscopic. They generally do no harm unless a sensitivity is developed by the host. However, in some cases they have been linked to hair loss. To properly rid your hair of demodex mites you should see your doctor to obtain a prescription. However, there are some natural mixtures you can make at home that may help. Wash all your bedding including pillows, sheets, towels and comforters to make sure you have a clean resting area. Disinfect hair brushes and combs. Using Dawn dish washing liquid, shampoo your hair and rinse it thoroughly. 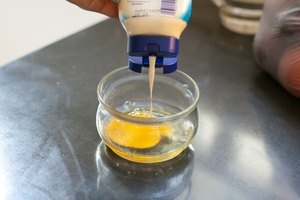 Make a paste using warm water and Epson Salt. Rub the mixture into your scalp using your fingers to firmly massage it in. Make sure you concentrate on the hair shaft. 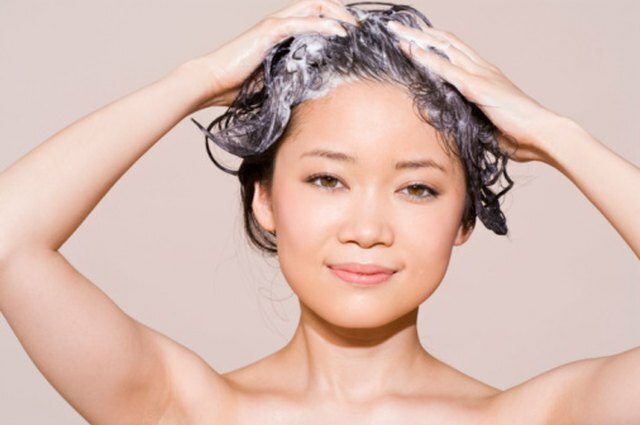 Once you have thoroughly massaged it into your scalp, rinse the paste out of your hair. Repeat the process as necessary, using a fine-tooth comb to comb through the strands. Make sure you consult a doctor so he can decide whether a stronger treatment is required. Mites live in your eyelashes and eyebrows as well as on your head. Discard any eye makeup you have and disinfect any makeup brushes. Tea tree oil is useful in treating mites. Purchase a shampoo that is made of this oil and apply to your scalp daily. You can find tea tree oil at your local drug store.